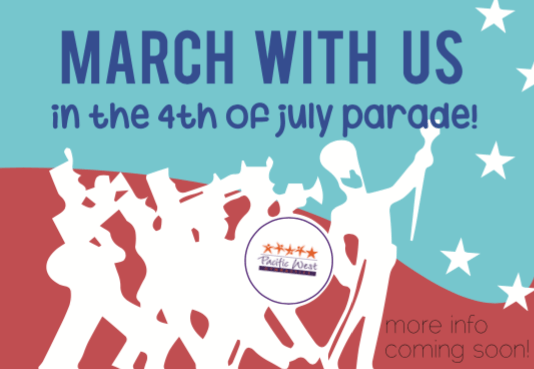 Join Pacific West Gymnastics as we march in the Fremont 4th of July Parade and be part of an annual tradition that is full of star spangled excitement! Thousands of spectators will watch and enjoy as we parade through Fremont, and we want you to join us! Come early to receive your free t-shirt. Look for our red truck! We look forward to having you join the fun!